It started on 20 October 2015 by Chef Steven Chua, he founded Orchid Live Seafood but he has already handed over the business to his son, Jason Chua after been at it for about 20 years. They are nestled amongst those shops at the Food Alley. One of their signature items is Steven Chicken at $5 for 4 pieces or $7.50 for 6 pieces. It is one of their signature dishes created by Chef Steven for Orchid Live Seafood. Another interesting item is Buttermilk Chicken Waffle with Salted Egg Sauce at $13. 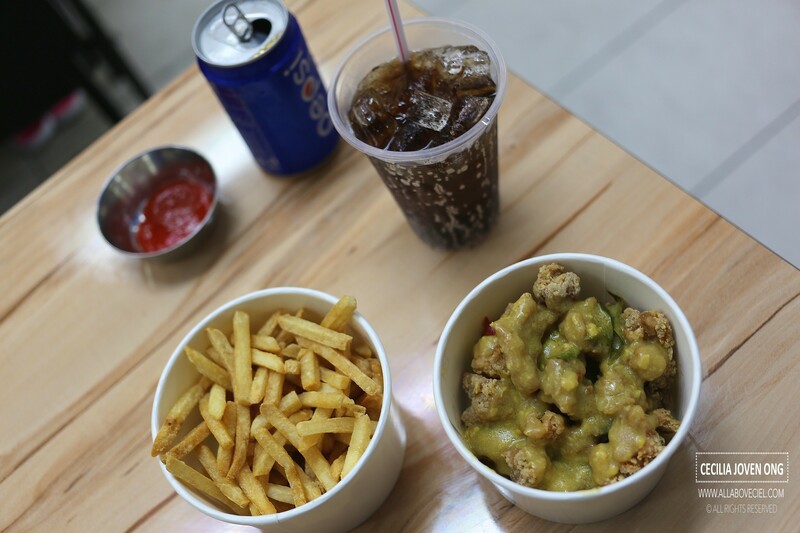 I just had lunch a little while ago so i just want their Salted Egg Popcorn Chicken at $5, i ordered a set to include a canned Pepsi and Shoe String Fries as the side dish for $2.50 more. Those small morsels of boneless chicken, battered and deep-fried then drizzled with the creamy salted egg sauce to serve. My first bite was quite a disappointment. The salted egg sauce tasted like those ready made sauce, it has only a slight hint of salted egg and not much flavor. Though creamy but it was a little overwhelming, you just did not feel like continue eating after the first few pieces as it was a bit too jelat. Though added with curry leaves and chili padi but apparently it did not bring forth much taste. 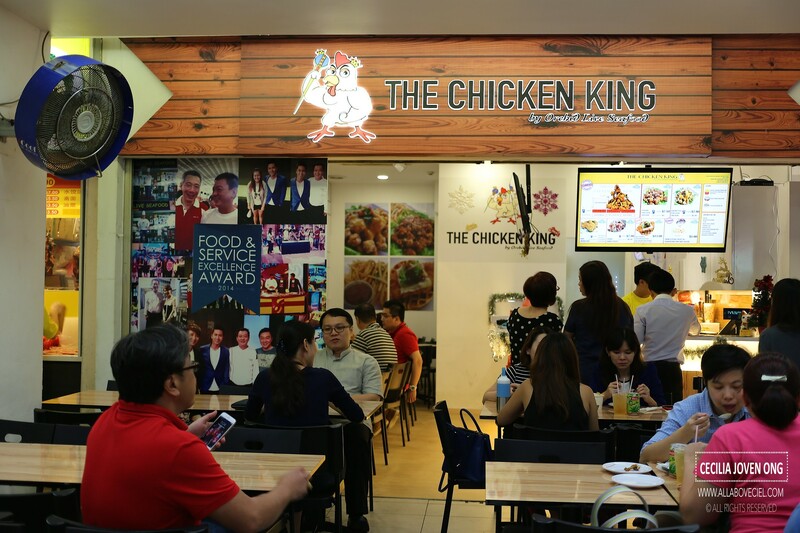 There were 2 other reviews floating on the net about this cafe and the bloggers seemed to enjoy the ir Salted Egg Popcorn Chicken. A popular food blogger wrote, "We loved the salted egg sauce drizzled on the kitchen, which reminded us of tze char style with a hint of laksa leaves." 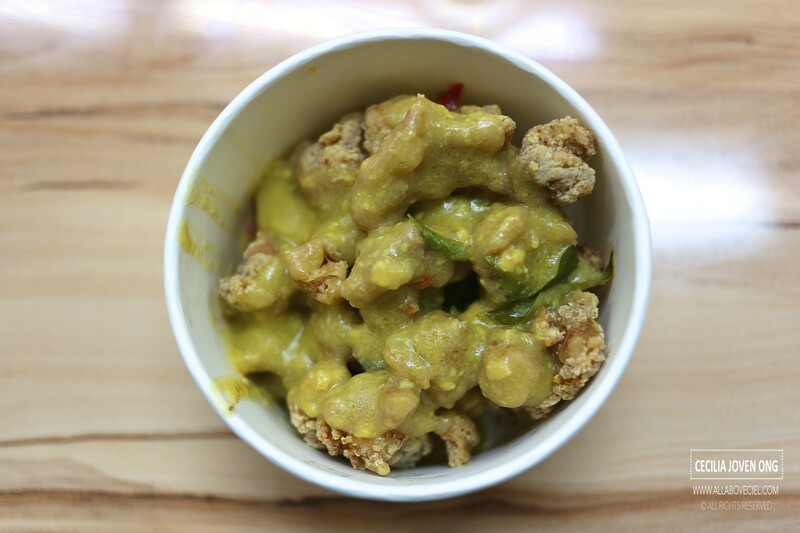 In another popular blog, it stated, "Popcorn chicken drizzled with all the luscious salted egg sauce. Take my money already. 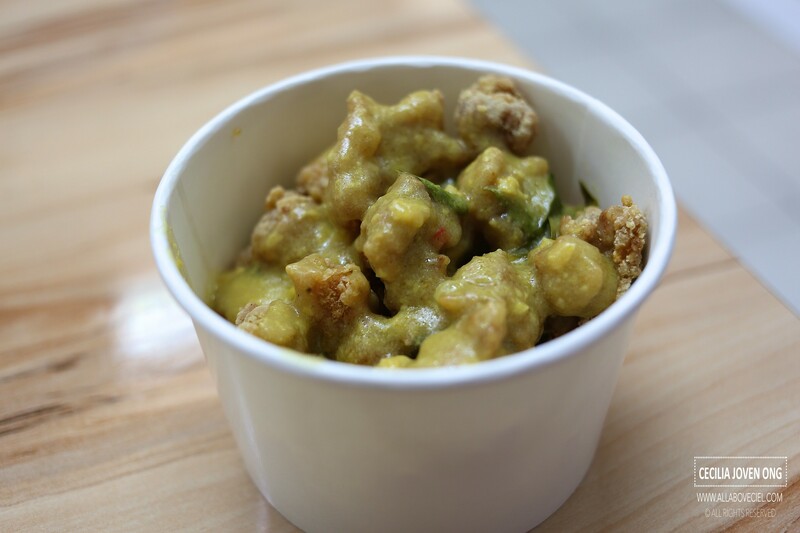 Salted egg sauce was of course the highlight - moist, creamy and slightly spicy to prevent it from being too jelat. Addition of chili padi fave a spicy overall while the curry leaves added on to the fragrance and had multiple layers of taste". As a fan of salted egg, i have eaten many such dishes and this is by a far one of the worst ever tasted. I could not help but wonder whether i happened to visit on one of their off days or is this their usual standard? The Shoe String Fries that came along with the set did not fare well. It was served along with some chili sauce in a metal bowl. 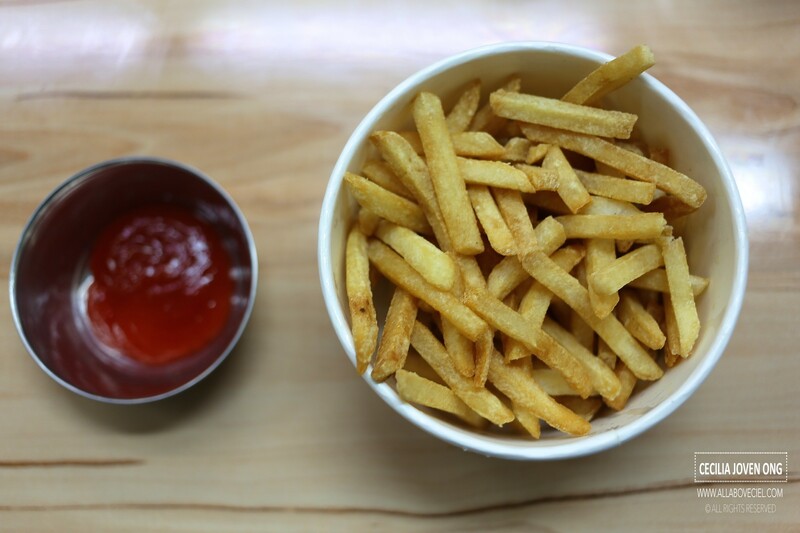 The fries itself were unseasoned thus it tasted quite bland and the chili sauce has no effect in enhancing its taste. The chili sauce tasted a bit like a common brand bottled chili sauce that are easily available at most supermarkets. It tasted a bit sweet with almost zero level of spiciness. Perhaps i should have top it up with another $2 for their Orh Nee (Yam) sauce though not for the Salted Egg Sauce even it is part of the 2 options since i did not like how the salted egg sauce went with the chicken popcorn. When i was there during lunch and they seemed to have a good lunch crowd, there was even a queue of quite a few office workers, likely to be from one of those offices nearby. I might just give it another try if i happen to be in the vicinity and perhaps i will like it better, just like how those other bloggers did.